Before I ever met Charles Smith, a friend read me a description of him that went something like this … Charles Smith is one of the wine world’s most loud-mouthed, obnoxious, iconoclastic winemakers, but he is also one of the most generous, compassionate and fun. As we bar-hopped across San Francisco this description rang true. I’ll get to that in a bit, but first I’d like to offer a bit on history on the man and his wines. 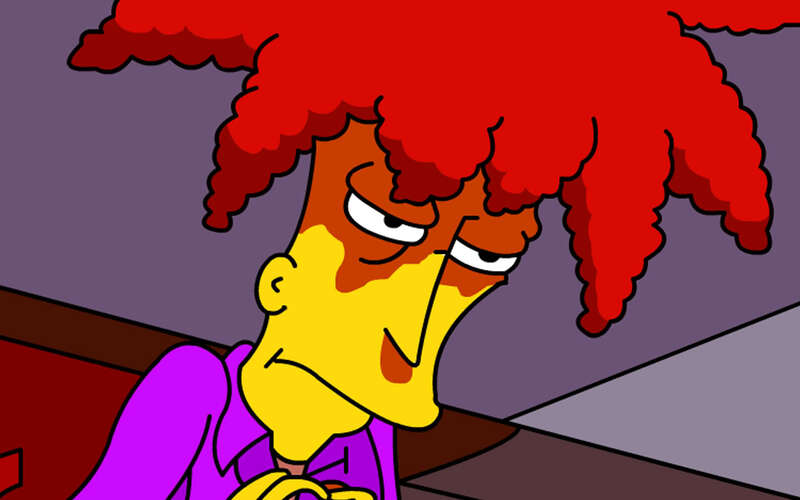 If you’ve seen a photo of Charles you have probably noticed that he doesn’t look like must winemakers; he’s more akin to a hybrid of Sideshow Bob from The Simpsons and a lost Ramones band member. His background is equally unconventional. He grew up a hard luck boy in California who bounced around the West Coast with his mother until he moved in with his French father when he was nine. Living with his father was not much of an improvement. At the age of 18 he split, and began working restaurant jobs, first in Tahoe at Petit Pier, then in Palm Springs at Caliente Room, and then as a sommelier at the Ritz-Carlton Rancho Mirage. At those restaurants he was exposed to a world of wine and hospitality that was entirely new to him, and he soaked it all in. Classic wines from the old world and new soon became a passion. In 1982, he moved to the Napa Valley to take another restaurant job, this time in Calistoga at All Seasons Bistro. There he had a chance to delve deeper into the world of wine, and an obsession was born. Those early restaurant years were formative, but here’s where the rock n’ Roll part of the story comes in. In 1990, he followed a girlfriend to Demark. When he couldn’t get a wine job there, he turned to managing rock bands such as Raveonettes, The Cardigans, and Psyched Up Janis for nine years. Living on the road with touring rock bands was likely good training for what would follow -- perhaps a simplicity was born out of those days. You will be hard pressed to see Charles wearing anything other than a black t-shirt and pair of jeans. Upon moving back to the states in 1999 he opened a wine shop in Seattle. As the story goes, he was on a road trip passing through Walla Walla when he met a French winemaker with a passion for Syrah that matched his own. They decided to make wine together, and the K Vintners label was born. 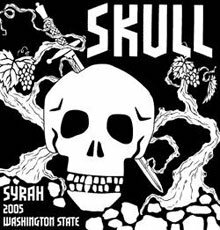 Their first release was 330 cases of Syrah but then came an idea for a budget brand which he coined House Wine. House Wine caught on and Charles hit it big. He quickly grew the label and sold 2/3 of his interest in it to Precept Brands in 2006. Later that same year, he used the money from the sale to start a new project, Charles Smith Wines. With help from his Danish friend Rikke Korff (former Design Director for Levi’s premium line), Smith created the stark black and white labels that he has become so closely associated with. The rock’n’roll design aesthetic is visible in every element of the project from label, to tasting room, to winery. From anyone else it might come across as phony but Charles oozes the rock ethos from his very core. The K Vintners wine labels are equally punchy, but the wine inside the bottle is markedly more distinctive than the Charles Smith line. Tasting them, their new world origin is never in doubt, which is to say: they are not trying to be something they are not, but at the same time they are clearly influenced by the palate of someone who drinks and loves old world classics. Although they are bold and intense, they also showcase their respective terroirs. The critical acclaim has been louder than a Marshal amp turned up to 11. Just to paint a picture, here are some of the wines that have scored between 100 and 98 points. Click here for a complete list. The contradictions were clear as we bar hopped that night. On a patio in the Marina district, Charles was showing off photos of his attractive Italian wife, Ginevra Casa (she and her sister, Olivia, are the two women behind Secco Italian Bubbles). Moments later, with equal adoration, he was showing off photos of his cuddly Shih Tzus. Much later in the night we ended up at Lucky 13, a bar on Market Street. All of us were feeling the effects of trying to keep up with Charles that night. The man has the ability to drink more than anyone I’ve met. At two in the morning, I sat next to him and his assistant winemaker at the bar. He was done playing the role of class clown for the evening; everyone was off in their own conversations and he could finally be himself. So after drinking all night, the discussion focused entirely on how they could improve quality. It was as though he didn’t want to show that he was actually very serious about what his winemaking. After all, he had an image to protect. If people realized he was a serious winemaker, it might call into question his image as an obnoxious party animal.